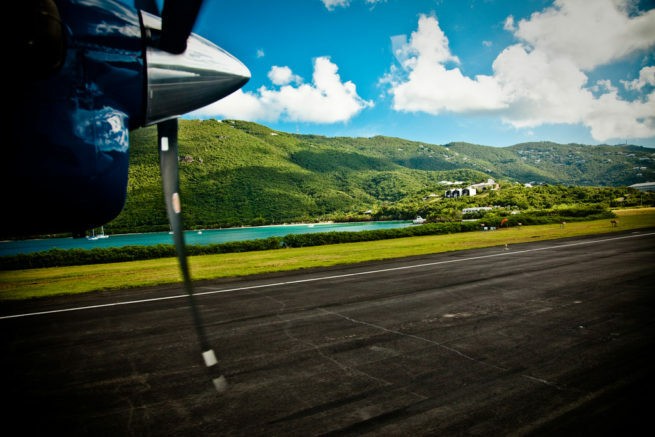 Book a private flight directly to St. Thomas, home to some of the Caribbean’s nicest beaches and luxury resorts. St. Thomas is a premier cruise port in the United States Virgin Islands, and the undisputed Caribbean king of duty-free shopping is a mecca for luxury merchandise. Enjoy all-inclusive, efficient, and transparent air charter service by arranging your private flight to St. Thomas with Air Charter Advisors. Our air charters can connect you to the USVI from anywhere in the world, with instant access to thousands of jets, props and other planes, and we can arrange luxury concierge services to make this your best flight ever. When booking a private flight to this world famous holiday resort with us, you gain experienced charter brokers who are ready to advise and arrange all the details of your upcoming flights around the world. Our personable and highly-customizable service will be available to you all hours – a true 24/7, no matter what time zone you’re in. Enjoy the peace of mind you get from working with a Caribbean air charter company you can trust, and we’ll become your aviation solution for luxury air travel, aircraft acquisition and private jet management in the USVI and beyond. Gourmet catering, luxury ground transportation, private helicopter lifts, luxury yacht charters, in-flight Wi-Fi, attentive cabin crew and plush interiors: we can arrange all of this and more upon your request. Give us a call at 1-888-987-5387 or request a quote now to book your charter flight to St. Thomas, US Virgin Islands. Our Caribbean private aviation services allow clients to book a direct flight to St. Thomas using (STT) Cyril E. King Airport, while charter airlines may require stops at other Caribbean airports along the way. Rent a private jet and choose the date and time to fly – no hassles, no lines, and no waiting. If you’re interested in adding additional charter flights to your trip to visit neighboring islands, discuss the options with your broker. Despite only offering just over 30 square miles of real-estate, if feels like there’s a million miles worth of things to do when you’re on St Thomas. Visitors can choose between shopping and sailing, snorkeling and sightseeing, or diving and dining. Relax and enjoy the island’s picturesque golf courses, world-famous beaches and incredible night-life, then head back to your resort to unwind some more. 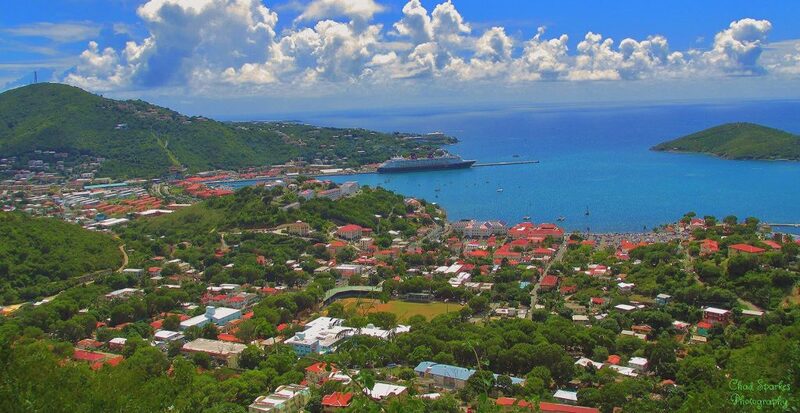 If you’re interested in gaining a bird’s eye view of the island, take the Skyride 700 feet above the city or climb the steps of Charlotte Amalie for breathtaking views of the surrounding Caribbean Sea. There’s plenty of cultural attractions for fans of arts and history, from the fortifications left behind across the islands by Blackbeard and his pirates, to the Western Hemisphere’s second-oldest synagogue, Fort Christian, built in 1680 and the childhood home of Camille Pissarro, one of France’s best-known Impressionists. You can also fly private into (STT) Cyril E. King and continue to St John by boat. This secluded island is home to pristine, white-sand beaches, crystal-clear turquoise waters and amazing panoramic views for luxury travelers to enjoy. The island of St John is also home to a ton of luxury private villas available for weekly rentals, ranging from cozy, romantic villas to 6+ bedroom mega vacation homes. Hire a private jet to St. Thomas and stay at a luxurious hotel that complements your charter flight. The island is home to the ultimate Caribbean shopping spree, and there are a variety of luxurious accommodations to match. The luxury hotels in St. Thomas are known for their sophisticated ambiance, superb cuisine, and incredible nightlife. Despite the harbor serving as a popular cruise stop for cruise ships, you’ll find plenty of incredible views, secluded beaches and an overall relaxing atmosphere for an unparalleled Caribbean getaway. The following list of planes are available for your flights to the Caribbean. All the airplane we use are operated by FAR Part 135 or 121 (or foreign equivalent) air carriers, and many of them are Wyvern-certified. We can provide a range of options based on the goals for your trip, from cost-effective flights to save time and avoid hassles, to connecting you to the most luxurious jet for your direct flight to Saint Thomas. Check out our Aircraft Gallery for more details; if you don’t see your preferred plane listed, speak to one of our brokers to see if it is available. Plan your stress-free Caribbean charter flight with Air Charter Advisors and enjoy your adventure in the US Virgin Islands. Request a Quote or give us a call at 1-888-987-5387 to speak with one of our St. Thomas Air Charter brokers and review all of the options for your private flight.